HTC announced it has signed Robinson Cano to a multi-year agreement, bringing the Seattle Mariners 2nd baseman onto the team as a US brand ambassador. No word on just how much HTC is paying Cano for this opportunity, but what does that matter? Cano recently moved to Seattle (HTC America’s HQ is located in Seattle) from New York City, and has become a big part of the community in Washington state, creating the RC22 Foundation which serves underprivileged youth worldwide. The statement comes off as canned, but we shall see what this partnership means down the road, and how HTC will strategically place their ambassador to sell phones. Full presser has been placed below. Seattle, WA (November 9, 2014) – HTC, a global leader in technology innovation and design, has signed a multi-year agreement with six-time MLB All-Star and Seattle Mariners 2nd baseman Robinson Cano. 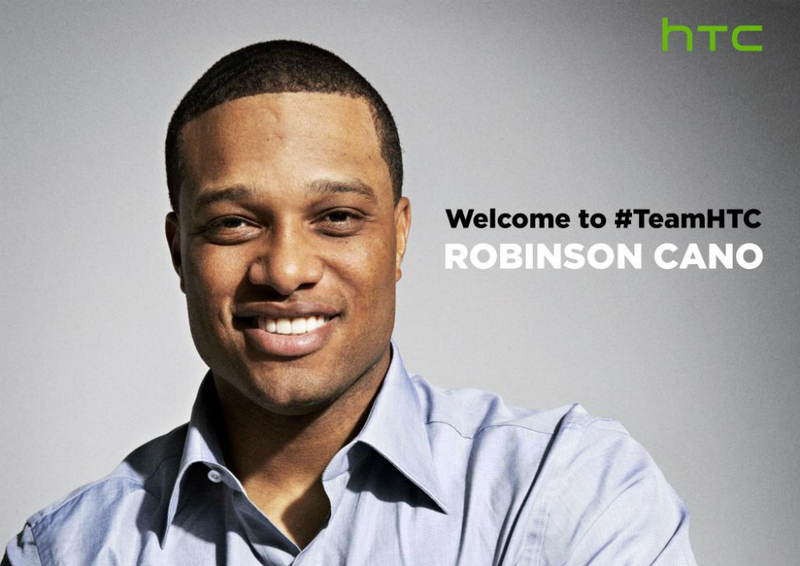 The partnership between HTC and Robinson Cano is born out of a shared dedication to the pursuit of personal excellence. Cano’s dedication to sportsmanship and mentorship were defining factors in HTC naming him a North American ambassador for the brand. In addition to establishing himself as a prominent member of the Seattle community in the past year, Cano continues to build his RC22 Foundation to serve underprivileged youth worldwide. HTC recognizes and supports Cano’s dedication to RC22 Dream School, a planned Montessori school and community education center in Cano’s home country of the Dominican Republic funded by the RC22 Foundation.